It is the dead of winter around here. That means snow and cold. Sometimes too cold to even get outside. That can cause a little (or a lot) of stir craziness! To combat against that we try to play games with movement! 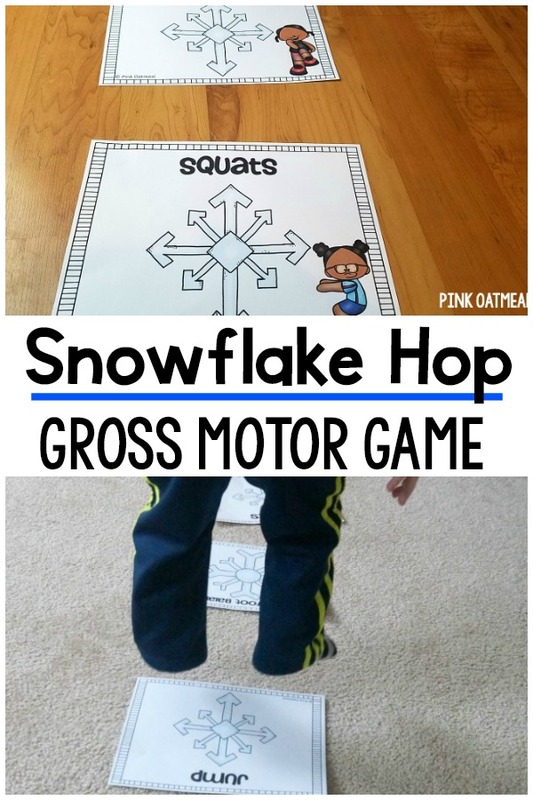 The snowflake hop is a great winter gross motor game that can be played from preschool on up! 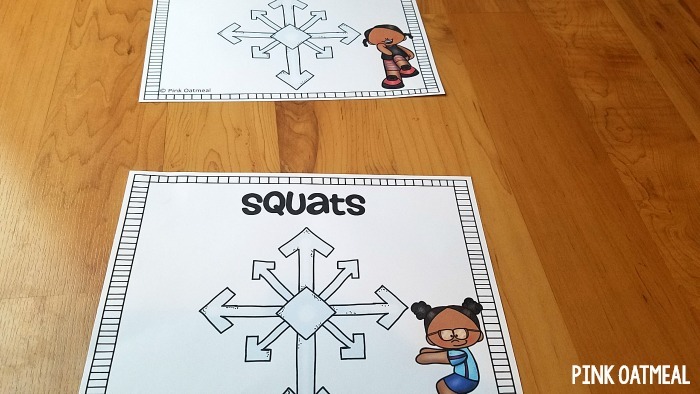 Let students take turns picking a snowflake. 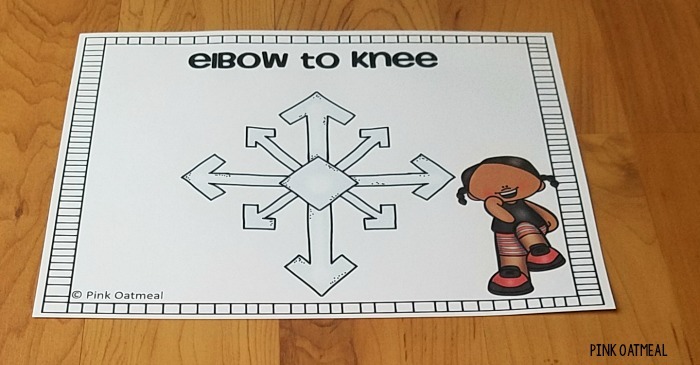 The entire class performs the activity on the snowflake. Place the same number of snowflakes as students on the ground. 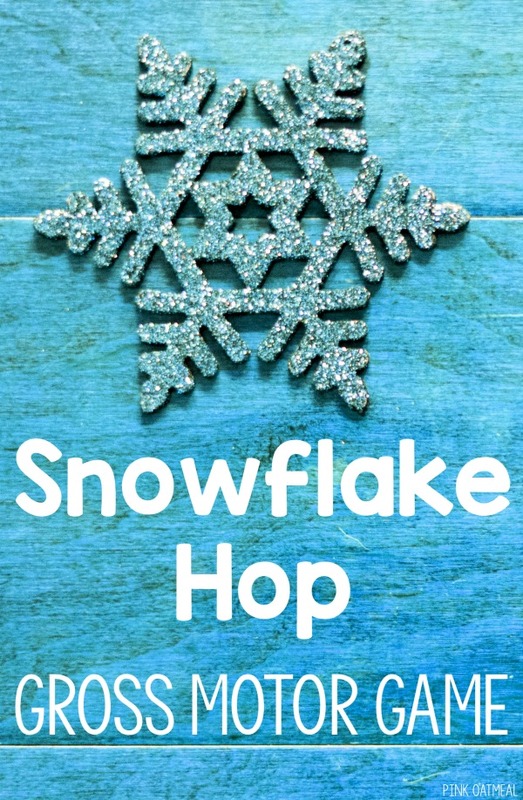 Have students walk or hop on snowflakes until music stops. When music stops students must perform the activity on their snowflake. When music starts students start moving between snowflakes again and play continues. This can easily be modified to a musical chairs like game. Have one less snowflake than students playing. When the music stops the student who is not on the snowflake is out. 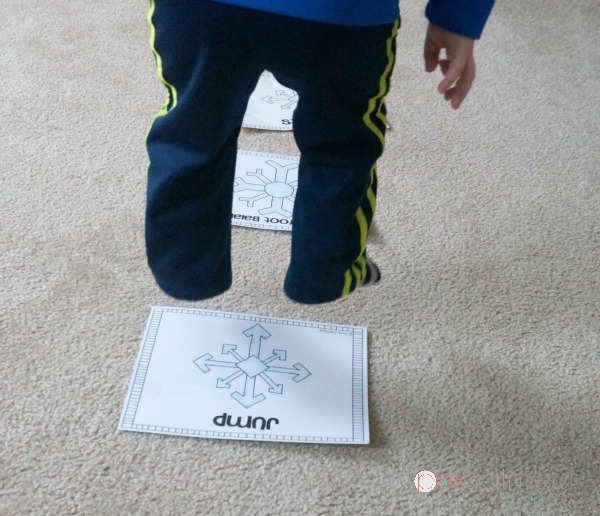 Enjoy this fun winter gross motor game! Do you love the idea of this game but don’t want to put it together? Pink Oatmeal has you covered! 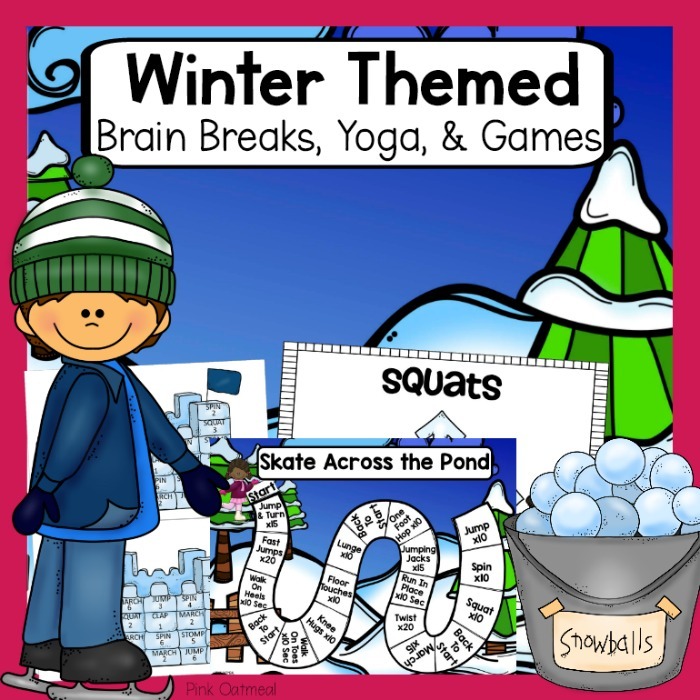 The Snowflake Hop game is part of the Winter Themed Brain Breaks, Yoga, and Games set along with several other fun ways to move this winter!